This airport coyote knows a little something about freedom, or at least he did for a couple hours on Tuesday in the great wilds of Myrtle Beach International Airport. 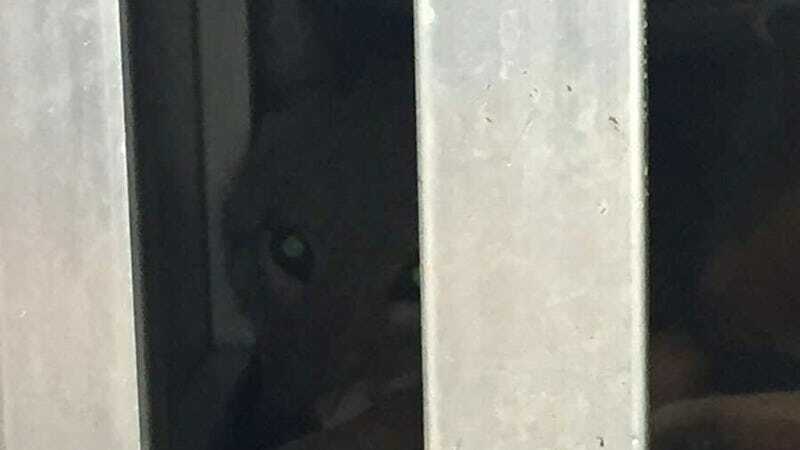 At approximately 10 a.m., a coyote ventured into the South Carolina airport through the baggage area and ran across check-in to the security checkpoint, where it was cornered. No one was allowed in the area until the animal had been captured, though no flights were delayed. Police and animal control later caught the coyote and booted it from the airport, after which it was put down with a taser put down, dubbed a “nuisance animal.” Wooooww. It’s a nuisance to want to feel the wind on your back as you run through this amazing manmade convention where giant flying objects lift off and take people to faraway places they never would’ve dreamed of? It’s a nuisance to want a piece of that? It’s a nuisance to run through an airport, dodging baggage that will one day be detached from their owners? That’s a nuisance? Wow. Okay. Well. Hopefully, this coyote inspires people to release their inhibitions. It certainly inspired me.